A leading non-governmental organisation called Legal Awareness for Nigerian Women (LANW) also known as LEADS – Nigeria with support from MacArthur Foundation on Friday, November 23, organised a public outreach to sensitise and raise more awareness on danger of corruption in education sector in Kaduna state. This public outreach was part of strategies developed by LEADS – Nigeria to build citizens capacity on monitoring and tracking of Universal Basic Education MacArthur Foundation education intervention projects in Soba, Chikun and Kaura local government areas of Kaduna state for the purpose of accountability. 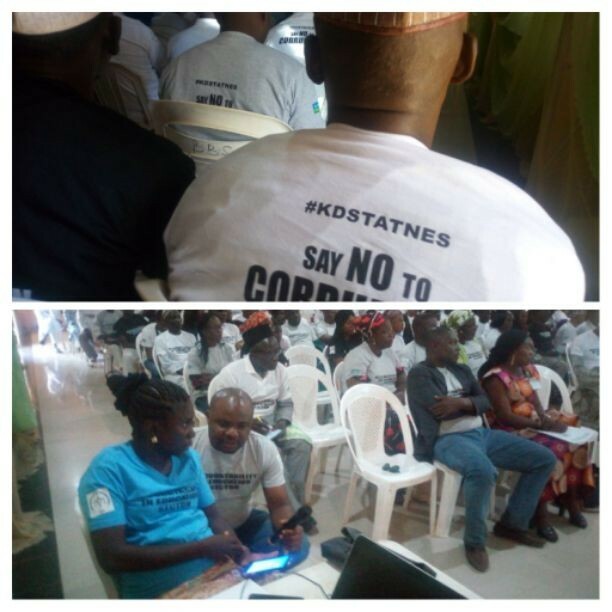 The event, which witnessed unprecedented attendance of citizens including school base management committees, community based organisations, Police, EFCC, ICPC and media among others, indicated rounding off of year one of Strengthening Accountability and Transparency in Nigeria in Nigeria’s Education Sector (STATNES) in Kaduna state. In an interview with newsmen, Executive Director, LEADS – Nigeria, Barr Rebecca Sako-John was happy that, citizens are now better equipped to track public projects in their community though there is always a room for improvement. According to her, “this is the round off of year one of STATNES in Kaduna where we are tracking UBE intervention projects in Soba, Chikun and Kaura LGAs of Kaduna state. “The reason for this is to raise awareness in people on how to improve service delivery at different levels in the education sector and we have found out that, some of the reasons we have not been having good results in getting quality services is because of corrupt practices. “When you track and monitor these projects, it will give you the opportunity to engage with service providers in a constructive way so they will be able to improve on the quality of work they are doing. “For example, we have cases where we asked contractors to change the quality of materials to improve the life span of the projects they were handling. “We are pleased to see more quality and response on the part of the contractors who ab initio do not want to have anything to do with the owners of the projects – the citizens. “We have decided to focused more on the education sector because it is the bedrock of development. Without education, one will be ignorant of so many things including your right as a person and citizens. “Tracking and monitoring of public projects had also reduced corrupt practices among LG staff, UBEC and contractors. “We are also trying to ensure that, the procurement processes are open and transparent to ensure a level playing ground for citizens. “Here in Kaduna, the state government has declared a state of emergency on education and that showed how important the sector is – we need to improve on quality of teaching, instructional materials and infrastructure and we are already keying into these”, she added. Generally, some of the impediments to education sector in Nigeria include but not limited to inadequate access, no to good quality of education, inadequate qualified teachers, infrastructure deficit or poor environment learning in some schools, need to review curriculum to address current realities, imbalances against girl child and inadequate funding.